GoforFiles is a Potentially Unwanted Program that allegedly allows users to easily search for files, movies, apps, and other useful things on the internet. In our testing, this program on further inspection does not work, it only displays an error for every search query. To top this off this program comes bundled up with other programs which could be malicious or unwanted. This program adds startup links into windows, allowing it and its bundled programs to launch every time Windows is restarted or launched. A task scheduled is also made, that lets the programs launch in different random times during the day. Many anti-virus applications have marked this program and its bundled counterparts as Potentially Unwanted Programs, and it is highly recommended to remove these programs from your computer. Browser hijacking means that a malicious code has taken power over and modified the settings of your web browser, without your approval. Browser hijackers are capable of doing a variety of things on your PC. It redirects you to the sponsored websites and inserts ads on your web browser that helps its creator generate ad revenue. While it may seem naive, all browser hijackers are harmful and thus always regarded as security risks. Once the malware attacks your computer or laptop, it starts to mess things up a whole lot that slows your PC down to a crawl. In the worse case, you will be forced to deal with serious malware threats too. Symptoms that your browser is hijacked include: your web browser’s homepage has been reset to some unfamiliar site; you find yourself constantly directed to some other site than the one you actually meant; the essential web browser settings is altered and undesirable or insecure resources is put into the trusted sites list; you notice many toolbars on the web browser; you notice lot of pop-up ads on your screen; your web browser gets sluggish, buggy, crashes very often; Inability to navigate to certain websites, particularly antivirus as well as other security software sites. Browser hijackers could use drive-by downloads or file-sharing networks or even an e-mail attachment to reach a targeted computer. They could also come from add-on software, also called browser helper objects (BHO), web browser plug-ins or toolbars. 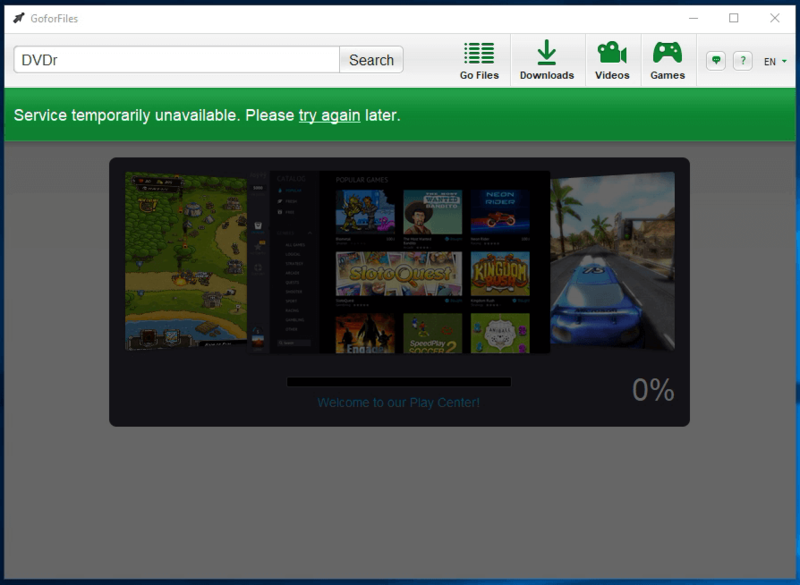 Some browser hijackers spread in user’s computer system using a deceptive software distribution process called „bundling“ (usually through freeware and shareware). Browser hijackers can disrupt the user’s browsing experience severely, record the websites frequented by users and steal sensitive information, cause difficulty in connecting to the internet, and ultimately create stability issues, making software programs and computer to freeze. Certain browser hijacking can be quite easily stopped by finding and removing the corresponding malware application through your control panel. But, most hijackers are hard to get rid of manually. Regardless of how much you try to eliminate it, it may keep returning again and again. Rookie computer users should never attempt for the manual form of removal, as it requires comprehensive computer knowledge to do fixes on the computer registry and HOSTS file. You might opt for automatic browser hijacker removal methods by simply installing and running efficient anti-malware application. 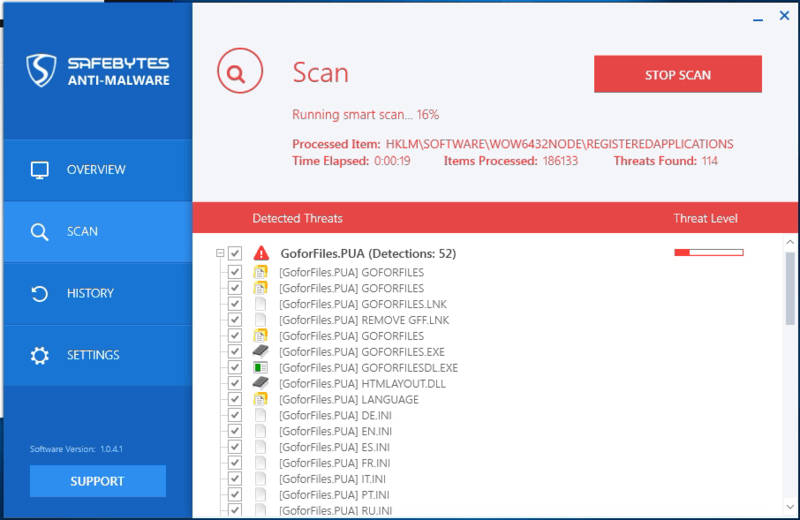 To eliminate any type of browser hijacker out of your laptop or computer, you could download the following professional malware removal software – SafeBytes Anti-Malware. Employ a system optimizer (like Total System Care) together with your anti-malware software to correct various computer registry problems, eliminate system vulnerabilities, and boost your computer overall performance. Can’t Install Safebytes Anti-malware because of a Virus? Try This! Malware could potentially cause all sorts of damage after they invade your system, from stealing your private details to erasing files on your PC. Some malware sits in between the computer and your internet connection and blocks some or all internet sites that you really want to visit. It might also prevent you from the installation of anything on your machine, especially anti-virus program. If you’re reading this now, you’ve probably realized that a malware infection is the reason for your blocked internet traffic. So what to do when you want to download and install an antivirus software like Safebytes? Do as instructed below to get rid of malware through alternative methods. In Safe Mode, you can actually change Windows settings, un-install or install some application, and remove hard-to-delete viruses. In the event the virus is set to load automatically when computer boots, switching to this mode could prevent it from doing so. To get into Safe Mode or Safe Mode with Networking, press F8 while the system is starting up or run msconfig and find the “Safe Boot” options under the “Boot” tab. Once you are in safe mode, you can attempt to install your antivirus program without the hindrance of the malicious software. Right after installation, run the malware scanner to remove standard infections. Malicious program code might exploit vulnerabilities on a particular browser and block access to all anti-malware software websites. If you appear to have a trojan attached to Internet Explorer, then switch over to a different web browser with built-in safety features, such as Firefox or Chrome, to download your favorite antivirus program – Safebytes. 1) Make use of another virus-free PC to download Safebytes Anti-Malware. 2) Connect the flash drive to a USB port on the clean computer. 3) Run the setup program by double-clicking the executable file of the downloaded software, with an .exe file extension. 4) Choose the USB stick as the location for saving the software file. Follow the onscreen instructions to finish the installation process. 5) Now, plug the USB drive into the infected system. 6) Double-click the EXE file to run the Safebytes program from the thumb drive. 7) Run Full System Scan to identify and get rid of all kinds of malware. If all of the previously mentioned approaches are not able to help you in downloading the antivirus, then you have no option but to re-install the computer’s operating-system to wipe out all of the data, including the harmful programs which are blocking the antivirus installation. If you are unsure which method to use, simply call our toll-free number 1-844-377-4107 to speak to our technical team. Our experts will walk you through the virus removal process over the telephone and also restore your computer remotely. To protect your computer or laptop from various internet-based threats, it is very important to install anti-malware application on your laptop. However, with so many antimalware companies out there, nowadays it is actually tough to decide which one you should obtain for your personal computer. A few of them are excellent, some are decent, and some will destroy your PC themselves! You must be careful not to choose the wrong product, especially if you buy a premium software. Among few good applications, SafeBytes Anti-Malware is the highly recommended software program for the security conscious end user. Safebytes is one of the well-established PC solutions firms, which offer this comprehensive anti-malware application. Using its outstanding protection system, this utility will instantly detect and remove the majority of the security threats, including browser hijackers, viruses, adware, ransomware, trojans, worms, and PUPs. Optimum AntiMalware Protection: With a critically acclaimed anti-malware engine, SafeBytes offers multilayered protection which is intended to catch and eliminate threats which are hidden deep in your computer’s operating-system. Real-time Threat Response: SafeBytes provides round the clock protection for your computer limiting the malware intrusions in real time. It will continuously monitor your computer for hacker activity and also gives users with advanced firewall protection. Web Protection: Safebytes allots all sites a unique safety score that helps you to get an idea of whether the webpage you’re about to visit is safe to view or known to be a phishing site. Faster Scanning: SafeBytes Anti-Malware has got a multi-thread scan algorithm which works up to 5x faster than any other antivirus software. Light-weight: SafeBytes is a light weight and user-friendly antivirus and antimalware solution. Since it uses minimal computer resources, this software leaves the computer power exactly where it belongs to: with you actually. 24/7 On-line Support: Support service is readily available for 24 x 7 x 365 days via email and chat to answer your concerns. SafeBytes has created an excellent anti-malware solution to help you conquer the latest computer threats and virus attacks. You now may understand that this tool does more than just scan and delete threats on your PC. You’ll get the best all-around protection for the money you spend on SafeBytes AntiMalware subscription, there is no doubt about it. If you wish to carry out the removal of GoforFiles manually instead of using an automated software tool, you can follow these simple steps: Go to the Windows Control Panel, click on the „Add/Remove Programs“ and there, select the offending application to uninstall. In cases of suspicious versions of web browser plug-ins, you can easily get rid of it through your web browser’s extension manager. It is also highly recommended to factory reset your web browser to its default state to fix corrupt settings. In order to ensure complete removal, manually check your hard disk and registry for all of the following and eliminate or reset the values as needed. But bear in mind, this can be a complicated task and only computer experts can perform safely. Also, certain malware is capable of replicating itself or preventing deletion. You’re urged to do this process in Windows Safe Mode.